This gaming PC's specs hint at the kind of hardware HTC's Vive headset will require. The PC industry is rallying around virtual reality becoming The Next Big Thing when consumer headsets finally hit the streets later this year. But most average PC users aren’t really familiar with the hardware necessary to make VR smooth and non-pukey. Which processor do you need? What graphics card is the best? 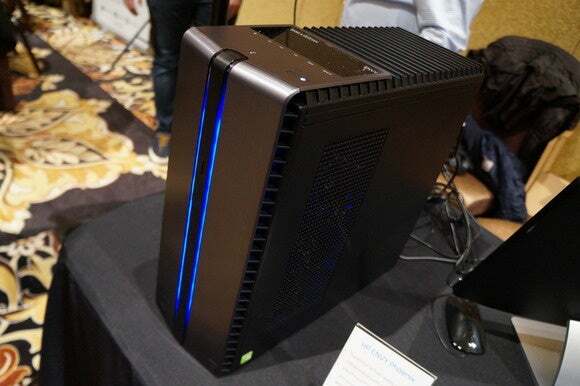 Fortunately, PC makers are trying to eliminate buying headaches with computers like HP’s newly announced Envy Phoenix—one of the first certified VR-ready desktop PCs ever revealed. That’s a hell of a hook, but it’s not the only reason HP’s Envy Phoenix proves tantalizing. Rather than being “Oculus Ready”—a certification program Oculus and other PC partners announced in September—HP instead worked closely with HTC to ensure the Envy Phoenix is optimized to work with the SteamVR-powered HTC Vive headset. Sure, it’ll still work with the Oculus Rift, but HP and HTC are testing the Envy Phoenix with the Vive to deliver an easy plug-and-play experience, and HP’s putting extra work into optimizing the PC’s drivers and power profile to squeeze as much oomph out of the hardware as possible when using HTC’s headset. Speaking of the hardware, that’s pretty interesting too. 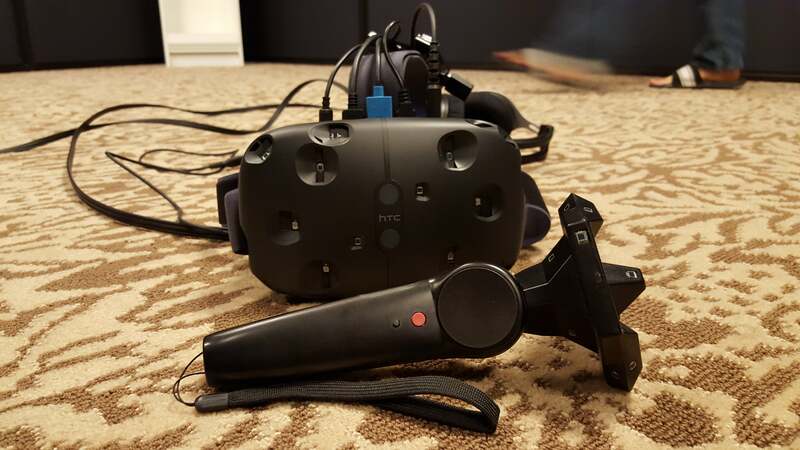 While Oculus long ago revealed surprisingly humble PC requirements for the Rift, HTC has stayed mum on what type of firepower’s needed with the Vive. The HP Envy Phoenix’s innards aren’t necessarily Vive canon but it gives us a glimpse at a loadout that HTC considers optimal enough for its blessing. The beating heart of any gaming PC is its graphics card, and that goes doubly so with virtual reality, as VR games need to hit 90 frames per second to minimize your odds of feeling ill and maximize your feeling of immersion. That’s why it seemed so odd when Oculus announced the Nvidia GeForce GTX 970 as its minimum spec—that card seems like it’ll have trouble maintaining 90fps while gaming at the Rift’s 2160x1200 resolution. The HP Envy Phoenix leans on the far more potent Radeon R9 390X or GeForce GTX 980 Ti, depending on the configuration you choose. Both should work just fine, though the GTX 980 Ti offers a sizeable performance leap over the R9 390X. HP offers an overclocked Intel Core i7 K-series processor with the Envy Phoenix, augmented by liquid-cooling and a customizable LED lighting system that changes color as your PC’s temperatures rise and fall. Nifty! The system also comes with a spacious 2TB hard drive to “host a massive amount of large format VR games, videos, and short animations.” That’s great and all, but here’s hoping that solid-state drives are available as an option. Going back to a slower traditional hard drive after using an SSD feels brutally slow—especially on a gaming PC. The one piece of hardware the HP Envy Phoenix doesn’t include is HTC’s Vive itself. You’ll have to snag that separately when it goes on sale in April, for an as-yet-undisclosed (but no doubt princely) sum. You’ll be able to pick up the HP Envy Phoenix much sooner: on January 16, with prices starting at $1,700.